Uluwatu is the most popular area on Bali’s Bukit peninsula, best known for the namesake landmark cliff-top temple. 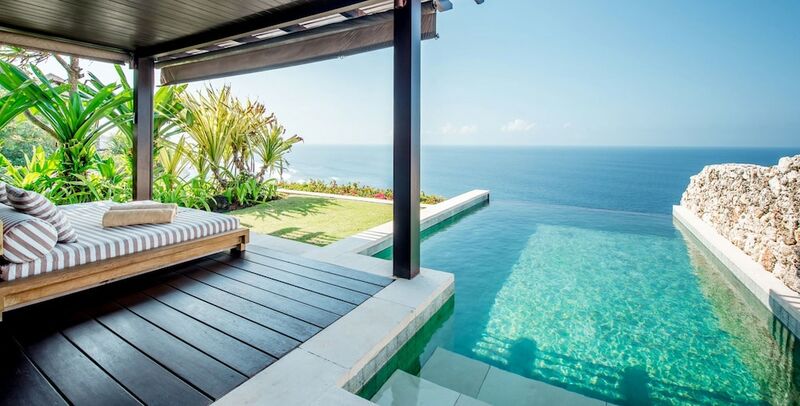 The hilly limestone region is home to Bali’s most scenic luxury villas and resorts, with facilities on towering cliffs, overlooking the Indian Ocean and magnificent sunsets. The cliff-fringed coastline is also home to hidden beaches and world-class surf breaks, a mecca for wave riders from the world over. Uluwatu and the Bukit should be top consideration if you’re looking for a stay in Bali that is away from the crowds common to Bali’s south, such as Kuta, Legian and Seminyak. The high and exotic location makes for a perfect setting for these resorts, usually featuring restaurants with a view – among the finest on the island. This section helps you select the best hotels, restaurants, nightlife and activities for your holiday escape in the area.